We love stop-motion animation here. Stop-motion animation is a craft, it is a wonderful excruciating and technical medium that produces highly developed films with bounds of imagination. Though many studios tend to favour the computer side of animation, studios such as Laika and directors like Henry Selick are still championing these courageous art forms. With the release of Isle of Dogs, we’re looking at some of the best stop-motion animation films! This is exactly what happens when Laika and Henry Selick combine with a dash of Neil Gaiman. Coraline is supposedly a children’s movies but has psychologically damaged adults and kids alike worldwide with insatiably creepy undertones and a terrifying villain. Told through a hyperactive colour pallete, stark juxtaposition between worlds and at the core of it, a rambunctious titular child, Coraline is the unnerving tale of a bored girl who travels to a different land with mirrored but peculiar versions of her family around her. But soon she realises that nothing is what it seems after the initial excitement. Wonderfully dark and captivating the morale of “be careful what you wish for”, Selick’s wildly imaginative fete is a terrific tale. One of the few British studios that still excels at stop-motion animation is Aardman. 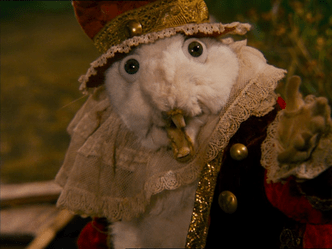 Their most famous creations have to be Wallace & Gromit and Shaun the Sheep (who gets another outing early next year), but back in 2000, the team created one of the best stop animation movies that still stands strong today. 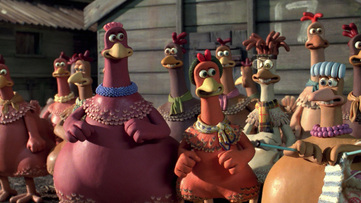 Chicken Run, with a distinct Great Escape feel, revolved around a group of plump chickens in an egg farm. Ginger is a spirited hen yearning for freedom, no matter what cost, but her extravagant escape plans always end up in dismay. When an American cockerel named Rocky lands in their farm, the pair band together for the most elaborate scheme before the mean Mrs Tweedy turns them into pies. Fun, riveting and hilarious, Chicken Run is often a Christmas family favourite for most British households. Ok. Yes. This is a live action movie with stop-motion animation. But writing a list about stop-motion animation would be highly erroneous if the godfather of the craft, Ray Harryhausen, wasn’t mentioned. 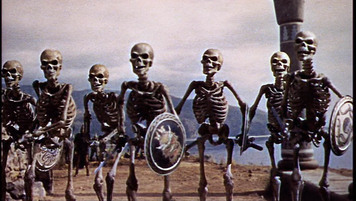 In fact, if you ask anyone to remember a bit of the film they loved, it would be the skeleton army that spookily fought with Jason and Talos and the massive statue that killed the beloved Hylas (though, if he ran horizontally, he’d be ok). The ghouls and mythical beings in Jason and the Argonauts are legendary now, they’ve been the source of inspiration for many directors since including Peter Jackson and Tim Burton. It is an intensely wonderful film that deserves a place on our list! There are many film version of the signature Lewis Carroll story, Alice In Wonderland. From the Disney’s magical animated feature in 1951 to their live action adaptation in 2010. But this cult film from Czechoslovakia is one of the most ingenious, even if it borders on the creepy. Directed by Jan Svankmejer, Alice sees the titular character head into a mysterious land through the magic of a rabbit hole. Svankmejer has created a dark yet delightful film that truly captures the spirit of Carroll’s original fairy-tale. It is drenched in glorious visuals that captivate you and draw you into the murky, mysterious world using lavish puppetry (that yes, borders on the insanely weird too). Alice is a divine adaptation of the original story. Wes Anderson is such a free spirit of the film industry. His colourful creations and vibrant sceneries drench the remarkable stories in a loveable, visceral way. 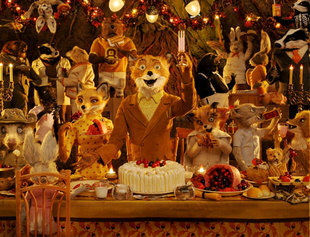 Each story of his is an adventure and his adaptation of Roald Dahl’s beloved story book, Fantastic Mr Fox is brilliant. The tale of a mischievous thieving fox who takes on free farmers in his biggest heist mission, featuring the voice talents of George Clooney, Bill Murray and Meryl Streep. The intense mastery of the puppets, the asymmetrical prowess of the scenes that Anderson is well known for and the great fun nature of the film make it a great film for all ages. One of the most ingenious stop-motion animation features that hasn’t failed to remain strong in audiences hearths through the years is simply perfection. Based on a series of poems and creations by Tim Burton, this Henry Selick directed feature is the impeccable tale of Jack Skellington, famed Halloween Town resident who gets a taste for Christmas after his passions for his work fade. There is not one part of this superb feature that isn’t steeped in gothic surrealness, remarkable music by Danny Elfman and marvellous characters. The jaunty stop-motion animation effects that add a layer of astonishing spirit have filled children and adults with glee. This is Selick’s finest achievement and continues to powerfully enchant. 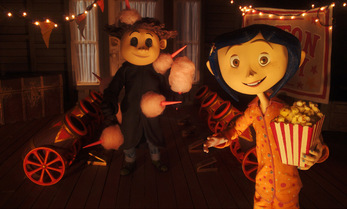 Directed by Travis McKnight this “should’ve won the Oscar” treat showcases studio Laika as a forefront in stop-motion. revolves around a young boy sent on a quest to stop his grand-father destroying the world. Laika are always pushing their craft above and beyond. In Kubo and the Two Strings, that is echoed by its usage of a 16ft stop-motion creation. As the large skeleton dominates the screen, you are in awe at the technicality and pure talent the studio has. The greatest triumph of Kubo is the engrossing fluidity of the animation that leaves you breathless at how phenomenal it is. Colourful, with funny creatures and terrifying villains (the sister’s voiced by Rooney Mara are beyond creepy,) Kubo enchants with the extremely impeccable display on screen. Imbued with great voice work from Charlize Theron and Matthew McConaughey, the animated film envelops you in spectacular wonder. Isle of Dogs is out now. First Reformed – Brand New Trailer! Ethan Hawke is a legendary actor in his own right and has been leading indie movies since he started performing. Now he looks to have his most Oscar-worthy performance to date in First Reformed. The film revolves around a pastor of a small New York church who starts to unravel when he has an encounter with an unstable activist. Directed by Paul Schrader, this looks to be an intense and powerful film that has already had rave reviews. What do you think? First Reformed is out later this year! Paddy Considine has been one of our strongest and most exciting filmmakers for a long time. His work, most famously dark drama Tyrannosaur, has pushed intricate, bleak, and humanely layered side of cinema. Aside from his impressive acting career, Considine is a filmmaker at the forefront of excavating the depth of humanity and allowing us to be a part of that story. In his latest film, this excellence continues. Considine returns by directing, writing, and starring in Journeyman. The movie revolves around boxer Matty Burton, the current World Champion, who is on the verge of retirement. When he is taunted and challenged by upcoming star Andre “The Future” Bryte, he gets back into the ring to prove his might in the sport. However, Matty is severely hurt and suffers from brain damage as a result of his injuries. Regressing and having to piece himself back together, his wife Emma stands by him on his road to recovery but his increasingly volatile behaviour causes further strain on their marriage. Paddy Considine takes the lead role of Matty with Jodie Whittaker opposite him as supportive yet scared wife Emma. Journeyman is a film that relies on the mastery of both actors and, luckily, we’re in the presence of heavy-weight professionals who lean into the palpable and tense emotions, centring the film in Matty and Emma’s relationship. Whittaker and Considine are an impressive duo lead that tackle the weighted script and completely immerse you in their love, devotion, and the pain that follows with Matty’s struggle. Whittaker effervesces in her role as a Emma. She’s an actress who, with every projects, meets her character with a kinetic energy. As Emma, tackling the hardest elements of Matty’s transformation, Whittaker allows her to have humour, rather than making her completely maudlin, and that grounds the film in realism. In his role as Matty, Considine is fiercely brilliant. He inhibits every aspect of Burton on his, well, journey and road to rehabilitation. There is vulnerability from the beginning that is crafted throughout the most difficult parts of the film. Considine’s lead role is a tricky watch as he changes in front of you through the brain damage whislt learning how to function again. There is one particular heart-breaking scene of Considine’s that, filmed in just one take, shatters your soul. With the help of Tony Pitts and Paul Popplewell as Matty’s teammates and friends, Considine flourishes in his hardest yet most assured performance to date. The film manages to be bleak and inspirational. It is a detailed and layered look at brain damage and it’s effects. There’s a lot of research and passion poured into this film; there is a clear respect that Considine has for those tackling the same issue and this film is a testament to how he convey the grit and the hope in every story he brings to the big screen. It’s an emotional, heart-felt movie that packs the mightiest of wallops. Journeyman is out in cinemas now. The Darkest Minds – Brand New Trailers & Clips! Amanda Stenberg has risen to be one of our most accomplished young actress. Coming from The Hunger Games series and leading the brilliant Everything Everything, she is due to set the world of fire. Literally, in this trailer for The Darkest Minds. The film revolves around a world where teenagers have either died or developed powers. The government, in panic, have detained them all. Ruby, the most powerful of them all, escapes to join a group of runaways but, soon, those in charge are after them. Just when you thought that YA fiction was done, it comes back with a vengeance. We’re excited to see what Stenberg does. What do you think? The Darkest Minds is out August 10th! Every Day – Brand New Trailer & Clips! Angourie Rice was a scene stealing in Shane Black’s The Nice Guys and now it looks as if she is taking off in other movies such as this one! Every Day, based on David Levithan’s New York Times Bestseller revolves around a sixteen year old girl who falls in love with a soul named “A” which transfers into different bodies every day. With a unique story line, and Rice as lead, this could be an exciting teen romp. What do you think? Every Day is out 20th April! Come Sunday – Brand New Trailer! Chiwetel Ejiofor is one of our greatest actors and his work has continued with powerful performances and stirring films. Now he continues with Come Sunday. The film revolves around pastor Carlton Pearson who risks his career and family when he questions a church doctrine and finds himself branded a heretic. This looks to be an amazing film. What do you think? Come Sunday hits Netflix April 13th!